Windows XP is always the most used desktop operating system in the last few years. But now, three years after Windows 7 went on sale, it becomes the world’s most used desktop operating system, according to the August report from Net Applications. In August, Windows 7 had a 42.76% market share, a fraction of a point more than Windows XP’s 42.52%. The much-maligned Windows Vista sites at third place with a 6.15% market share. Interface: Most part of the interface of Windows 7 is the same as Windows previous versions, but not exactly the same. It launches the new taskbar. When you are using Windows 7, the taskbar hosts shortcuts to your most commonly used applications. Click a shortcut when the program is running and it brings the most recently used window to the foreground. Performance: Windows 7 owns several functions of both Windows XP and Vista, and much excellent than any of them. And the performance of Windows 7 is much better than Windows XP, more stable and stronger. Windows 7 CPU requirements is 1 GHz, RAM 1GB or higher recommend, and Windows XP is Pentium MMX, 233 MHz/300 MHz or higher with RAM 64MB/128MB RAM or higher. According to the test, Windows 7 runs much faster than Windows XP. Explorer: Windows 7 make the left-column of explorer the swiftest way to navigate to any folder on your hard drive, network or even in the cloud. What’s more, you can arrange the different categories in any way you want, quickly add special folders to the Favorites section, and even hide sections you don’t use. There are other more highlights of Windows 7. However, Technology develops so fast that Windows 8 will go on sale on October 26, which will become another storm in desktop OS. Now let’s expect the wonderful new Windows 8 together. 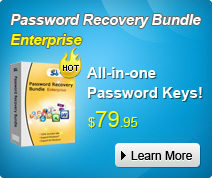 In order to keep the pace with technology development, Smartkey have upgraded our Windows Password Recovery tool. Now the latest Windows 8 Password Recovery is available in our official website.